This July, my father joined Dwidaya Tour to China. He is very happy that he can see China country. Before this trip he thought he hasn't opportunity to go to China. Along 8 days and 6 nights tour with new friends in a group tour, he sent me some BBM (blackberry messenger), pictures via bbm and emails what he did (amazing, my father, 73 old man, can use BBM and email more and more fluent day by day, he...he.... After join this tour, he has one more ability in using bbm...he can types in chinesse words...he studied it from his tour guide) and after went home he told me some story and note which I share below. I myself note yet go to cities that my father visited (I ever visited only some cities in South China) and hopefully I can to go there too. 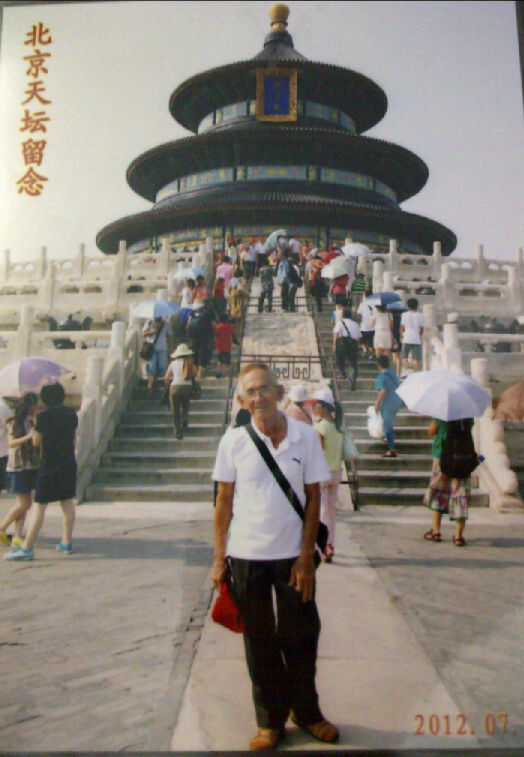 He visited Tian'an Men Square, Temple of Heaven. Beijing Olympic Stadium "Bird Nest"and of course The Great Wall! 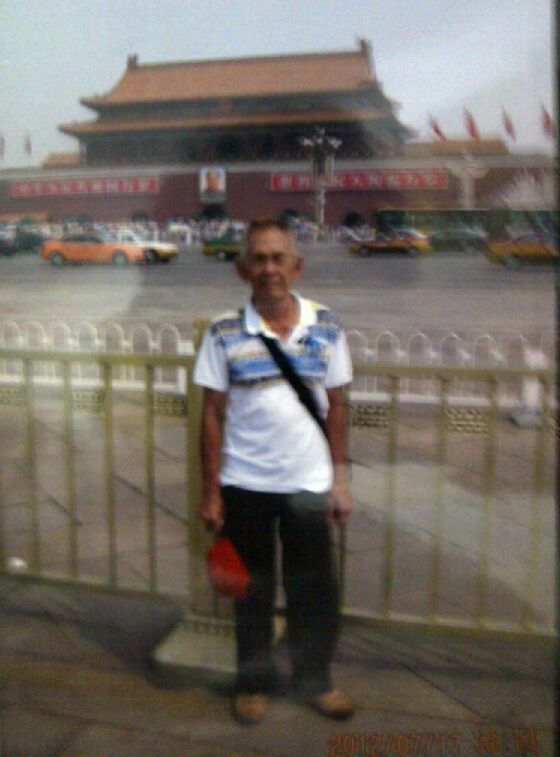 He told me that Tian'an Men Square is very very broad, we need 2 hours to surround. One thing that was surprizing me. My father informed me proudly that he can went up to Great Wall. He asked me to do more exercise if I want to go there because hard to go up, the step stair size not similar and steep. In Beijing, my father bought a very very nice souvenir for me and my sister, a marble stamp of my and my sister' Chinese name. One thing was surprising me was my father first message when he arrived at Beijing. He told me Beijing same with Jakarta, the different only many flats in Beijing. I said in my hearth "Is that true?" The modern city maybe was liked that but if he saw the old city, it will be different".....and it's true he amazed after saw Tian'nan Men and Great Wall. I also had a comment when saw close picture of Great Wall and told to my friend, "How they fight depended the wall which the high is only one meter something". My friend said, "For current condition your comment maybe true but this Great Wall was built long long ago (7 century BC) that the weapon still so simple." 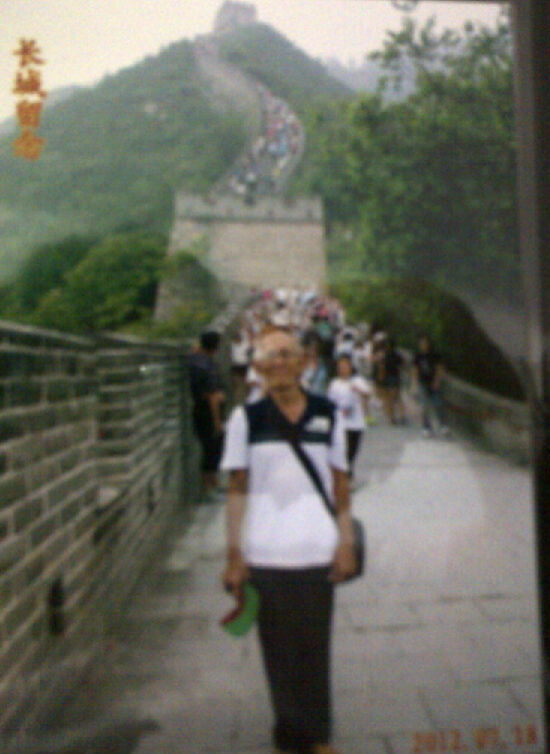 ..... "Yes, yes, yes," I said and continued to admire the Great Wall picture that my father sent to me via BBM.. He went to T he Bund area, then saw Shanghai city from The Oriental Pearl TV Tower. In this place, my father tried to sleep on the glass floor..... Ho..ho...he was so believed that the glass floor is strong. In the bottom of the glass flour there is no other material, only the land beneath the high distance. Shopping at Cheng Huang Miao Market, a traditional market. Around here, my father took a picture in a photo studio...., look! 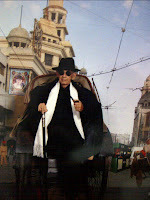 his picture with black long jacket and hate, he looks like a "shanghai gangster". He visited Tiger Hill, oblique octagonal pagoda and silk factory. Here is the city of white snake legend. The story tells about a young scholar, Shi Hanwen who falls in love with a beautiful woman, unaware that she is a thousand-year-old white snake, Pai Suchen that has taken on human form. A monk, Fahai, intervenes in order to maintain a law that forbids humans and spirits from falling in love with each other, and casts the white snake into a deep well at Leifeng Pagoda. My father visited this pagoda and also the beautiful lake, named Xi Lake (Danau Barat). This lake is surrounded by hill at three side and has square 5,6 km. In winter, the water of lake become frozen and people can walk on it. Visited small island, Gulungyu, named "Flower Garden on The Sea". In this location, there is museum of piano. 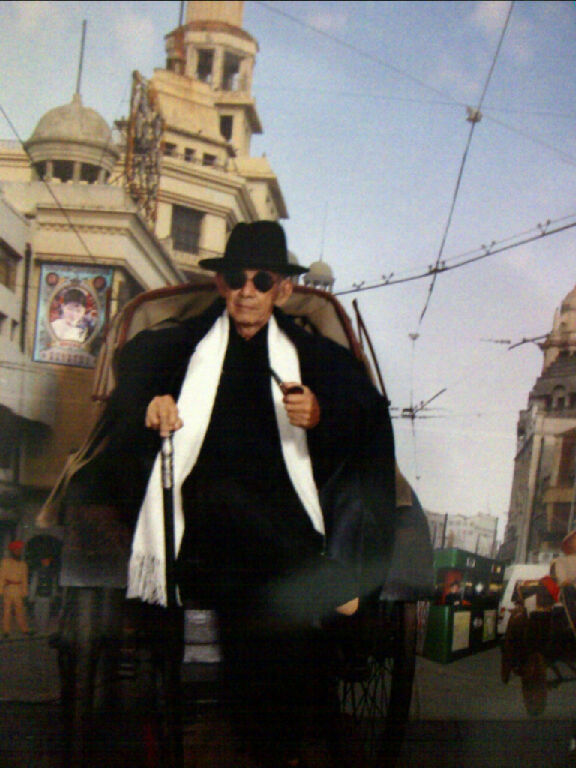 My father enjoyed this trip and I think he is waiting for his next trip.